The holidays are a time for rest, relaxation, family time and celebrations. You can help foster a love of learning in your children over the holidays. And they won’t even know it! Which will help them to embrace their education once their back at school, and the value of learning for the rest of their lives. Kids love the interactive, tactile and three-dimensional experience of learning at museums. ‘Museums offer a dynamic opportunity to expose children to experiences and explore new things in a rich and educational environment,’ explains Sara Choi, Education Program Manager of a Children’s Museum. A study from a few years ago also testified to the educational and personal benefits of visiting museums. developed a taste for art museums and cultural institutions. And there’s opportunities for engagement and learning for children of all ages. Younger children can benefit from focused exhibitions that encourage experiential play and problem solving. And older kids and teenagers can learn about art, history, culture, the environment, science and more outside of the school environment, and without the pressures of assessments. And active engagement is a crucial element of successful learning. Take your kids to museums and galleries of all types, and encourage questions and discussions that will ignite their curiosity. It can also helps to boost creativity, develop problem solving skills, support active inquisition and a love of learning. Take them to the supermarket. A study into childhood learning — aptly named The Supermarket Study’ — involved placing signs with questions on items around the supermarket. Questions like ‘where does milk come from?’ and ‘what else comes from a cow?’ were designed to encourage dialogue and evoke curiosity and inquisition from the children. The results saw a one-third increase in conversations between parents and children — a pivotal form of informal education. And while the study was conducted with children under 8, the inherent principles can be used with kids (and even adults!) of all ages. The idea is to create opportunities for learning outside of the school setting and in the real world. There’s myriad opportunities for learning all around you. By encouraging your kids to question the how and why of these mundane things, you’re fostering a love of learning and a thirst for knowledge. Yes, you read right again! The holidays can often be a constant battle of finding new and interesting things to keep kids entertained. But there’s a lot to be said for leaving them to their own devices, and letting them just be. ‘Children need time to themselves – to switch off from the bombardment of the outside world, to daydream, pursue their own thoughts and occupations, and discover personal interests and gifts’, explains Teresa Belton. Children of the digital age are used to having constant entertainment and instant gratification. So removing these distractions allows some much-needed time for quiet reflection, a wandering mind, and developing creative strategies to keep them entertained. 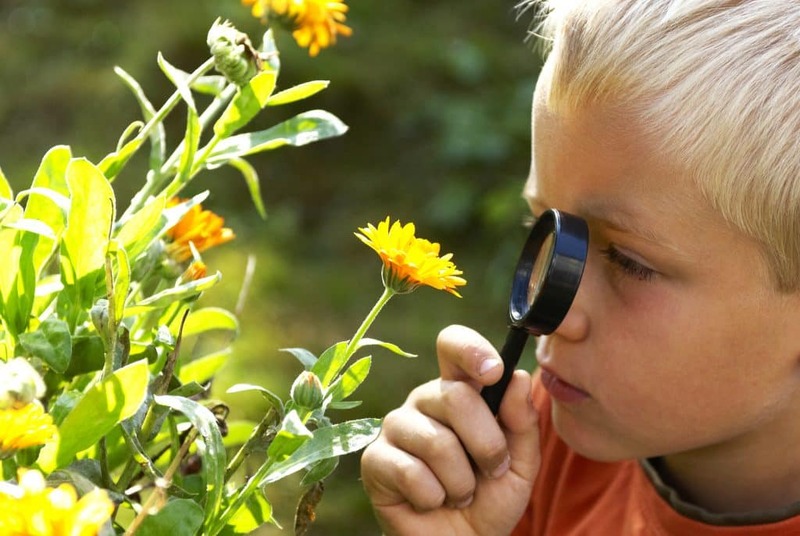 The best type of boredom can be found in the great outdoors, where they can investigate the natural environment. It also encouraged imaginative play, which helps kids to express their creativity. Encourage your older kids and teenagers to go for walks, sit in the park, and experience the world through their own eyes — even for a few minutes a day — instead of through their phone screen. Make reading part of the routine. But you can still keep a sense of routine, and important daily rituals, all through the holidays. While for older kids, fiction books can further support their writing skills, and through non-fiction they can learn about topics that interest them that they may or may not study in the school environment. Reading can also aid relaxation and reduce stress and anxiety, increase empathy, and promote good sleeping habits. A recent study found that children who had access to books at home had significantly better reading skills than those who didn’t. So consider giving your kids books for Christmas! They really are the gift that keeps on giving. Dialogue, as evidenced in The Supermarket Study, is a powerful and often-overlooked opportunity for teaching and learning. Discuss timely, relevant events from the media (or otherwise) with your children. But you will find that there are appropriate news-worthy topics to discuss with young children and older teenagers. You’re helping to develop their critical thinking skills, to problem solve, and become responsible, engaged and empathetic. And who knows, you might learn something from them too! So let your kids enjoy the holidays — but show them that learning can be one of the most fun holiday activities, too.